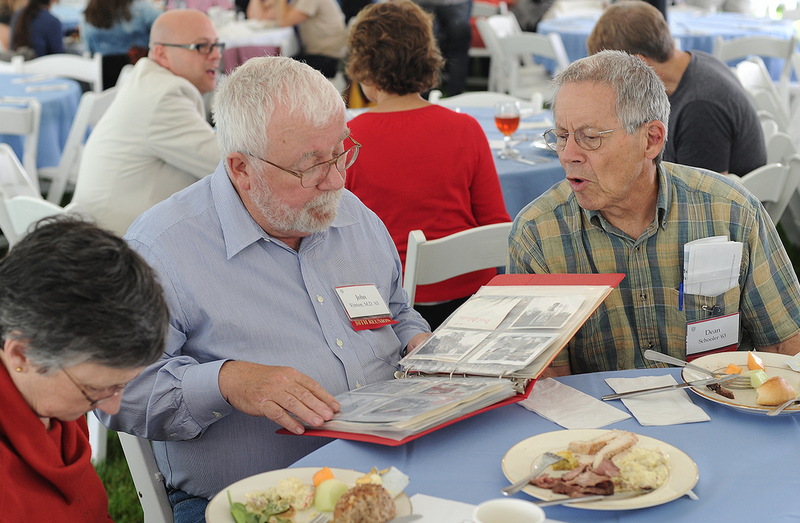 Reunite and reminisce with former classmates during Wesleyan’s Reunion & Commencement Weekend. 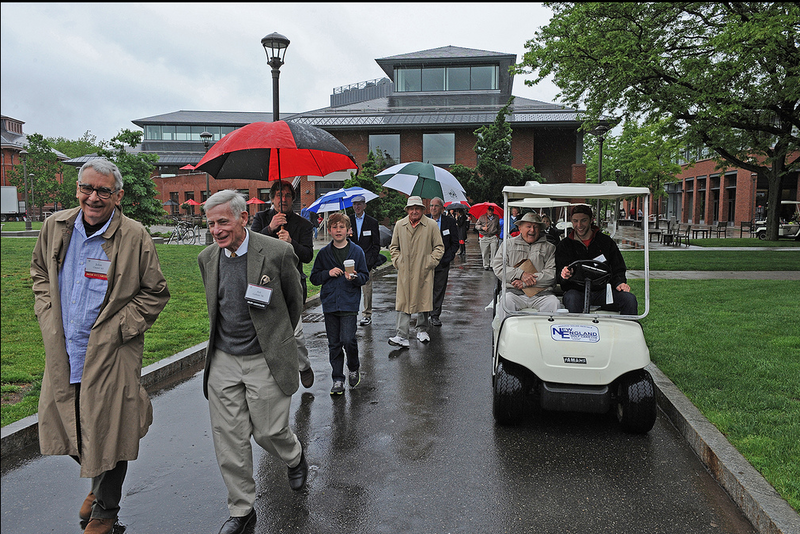 All Wesleyan alumni, students, parents, faculty, families and friends of the university are welcome to attend Reunion & Commencement Weekend May 22-25 on campus. The weekend is chocked-full of events including class reunions, WESeminars, academic department open houses, campus tours, an all-college picnic and festival, an All-Campus Party featuring mamarazzi and Illegalize, and the 182nd Commencement Ceremony led by commencement speaker Theodore Shaw ’76. The full schedule is online here. All alumni and their families are invited to walk in the traditional Parade of Classes scheduled for 11:30 a.m. at Usdan University Center. The parade is immediately followed by the Assembly and Annual Meeting. Highlights of this year’s R&C Weekend include a financial aid benefit concert featuring musician Randy Newman P’14 (sold out), stargazing at the Van Vleck Observatory, a Cardinal Loop Fun Run, a gathering for graduating seniors and their grandparents, a strolling magician and magic show and the traditional Parade of Classes. Classes ending in “4” and “9” will celebrate their reunions. 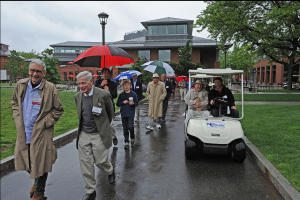 Wesleyan’s renowned WESeminar program will feature alumni, parents, students and faculty. WESeminar topics are 75 Years of Community Radio; Ocean Science and Storytelling; Reflecting on a Hollywood Icon: Clint Eastwood; An Inside Look Into the Legalization of Marijuana; The Senior Thesis: A Showcase of Academic Excellence; Celebration of Wesleyan Writing, Multiverse Cosmologies at the Limits of Modern Science; Advocacy after Incarceration; The Changing Face of Sports; Celebrating 10 Years of Long Lane Farm: Alumni in Agriculture and many more. The 182nd Commencement Ceremony begins at 11 a.m. on Andrus Field. 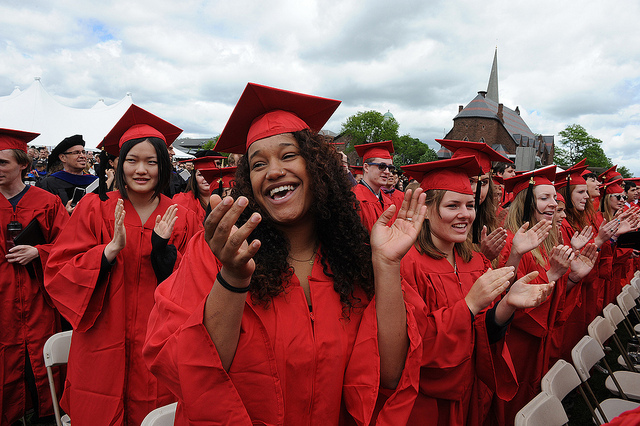 The 182nd Commencement Ceremony begins at 11 a.m. on Andrus Field. Tickets are not required. About 5,000 chairs will be available on a first-come, first-served basis. All campus visitors may check in for a final weekend schedule with updates and event locations, meal tickets, a welcome packet, campus maps, and more inside Usdan University Center. View this link for frequently asked questions and additional information.